San Diego State University is listed among the country’s 200 best value colleges, as determined by the Princeton Review, it was announced Wednesday. According to the Princeton Review, SDSU is consistently ranked high among schools that graduate a high volume of students with small amounts of debt. Students also have access to generous in-state tuition, sizable financial aid packages and a study abroad program that ranks top-10 in the country in terms of its size, according to the college ranking organization. Princeton Review does not rank the colleges on its list of those with the best value, instead highlighting each school’s qualities that earned them a spot and listing them alphabetically. The organization surveyed students from 650 colleges and universities from 2017 to 2018 for its list of the 200 best value schools, as well as its main list of the 384 best colleges in the country. Survey questions covered each school’s academics, quality of life, politics, campus life, town life, social life, extracurriculars and social scene. 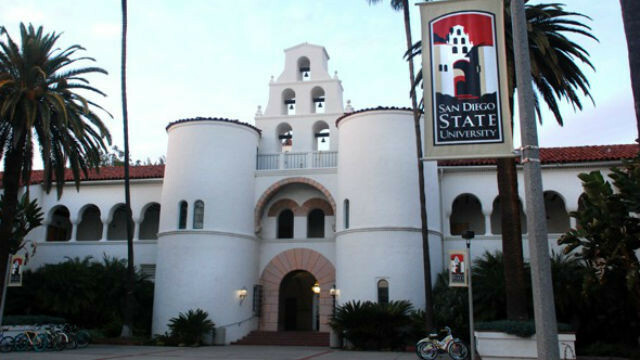 SDSU was also featured in the organization’s 2018 guide to the most environmentally sustainable colleges and universities in the world. Most recently, U.S. News and World Report ranked SDSU the 127th best school in the country and 60th among public universities. SDSU is currently reviewing a record 94,142 first-time and transfer student applicants for the fall 2019 semester.